Home » Website Building » Weebly » How to Create a Free Weebly Site? How to Create a Free Weebly Site? Weebly is one of the famous free website builder tools that helps to build personal, business, online store and content websites. It offers a wide range of features including option to integrate a blog, complete ecommerce store and AdSense account for generating revenue from the content. Creating a free site with Weebly will hardly take few minutes and your site will be instantly available online once published. 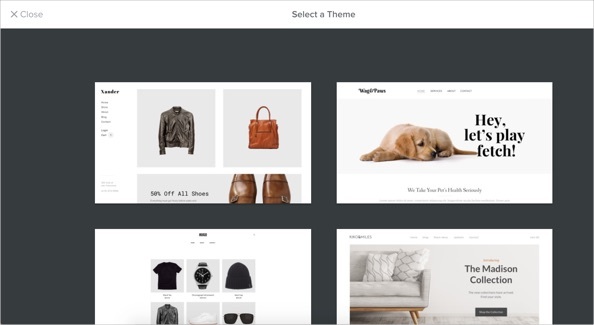 You don’t need to buy any stuff for creating a free website with Weebly. You will get a free subdomain from Weebly when you create a free site, later you can decide to connect the site to top level custom domain. If you want to start a site with proper domain then we recommend to buy before creating a website. Weebly also offers domain and emails but with high cost. However, you can always buy a domain at GoDaddy and use Google Apps or any other email services. The best option is to buy a hosting plans at Bluehost or SiteGround with domain, emails, WordPress and Weebly hosting. In this way, you can easily get the advantages for hosting Weebly, WordPress or any other websites in single place. If you start with free Weebly account then go to Weebly domains section and search for the name you are looking for. 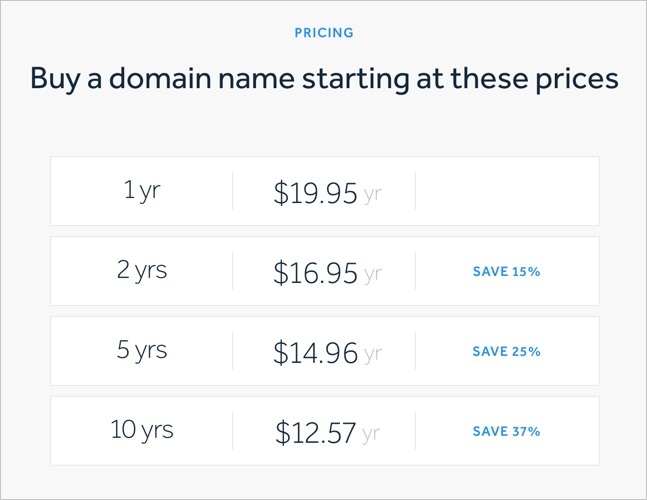 Alternatively, you can ignore the domain purchase step and use weebly.com subdomain or purchase a domain from other registrars and connect to your Weebly site. Login to weebly.com and signup for a free account. Use your email and password to login to your Weebly account. 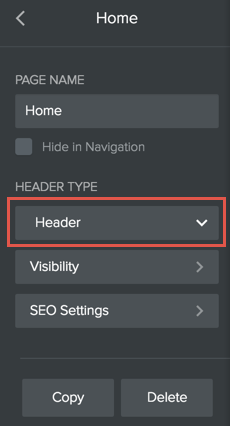 Select the primary language of your site available in lower right corner of Weebly home page if you want to change the language. Weebly currently offers support in English, French, Spanish, Italy, German, Portuguese, Dutch and Chinese, Japanese Turkish and Russian languages. Once you logged in to your Weebly account, select “Add Site” button under “My Sites” section. Square the owner of Weebly is a payment processing company, hence you will see all options are pushing you towards creating an online store. However, you can ignore the ecommerce steps and continue to create your free site. Provide the required details and create your site, you can change these details at later from your site’s settings. After filling the necessary steps, you will find your site in the dashboard. Click on edit to go to the Weebly site builder. When you edit the site for first time, Weebly will prompt you select a theme. Choose one of the good looking themes for your site. Unfortunately Weebly offers very few themes, so you will not have many options. Professions domain – You can register a new domain with Weebly and use it for your site. Subdomain – Use subdomain of Weebly for free. In this case your URL will be like “http://<YOUR SITE NAME>.weebly.com“. 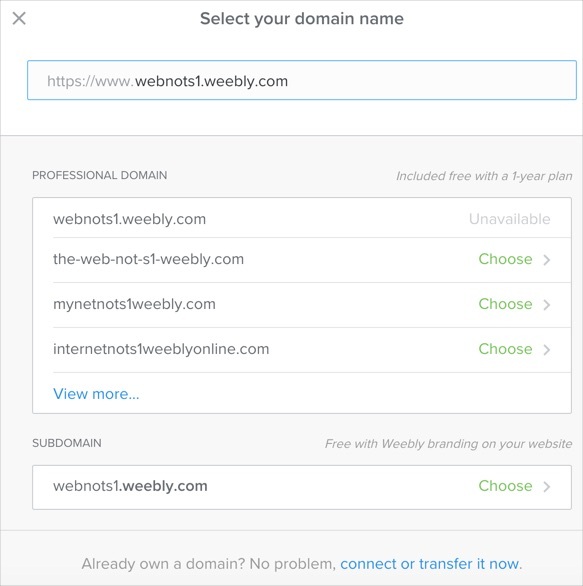 Connect a Domain You Already Own – In case if you have your own domain and chosen Weebly for free hosting then choose this option. You need to upgrade to Connect plan for connecting your custom domain. After connecting you need to setup DNS settings at the registrar to access the site hosted on Weebly. Weebly shows your site name is available or it was already taken. 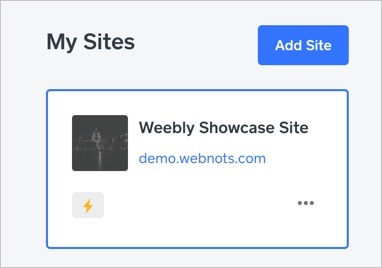 For testing and trying out, choose the subdomain option and assign a Weebly subdomain to your site. If you are happy with Weebly later you can update the domain name to custom address. Your free Weebly site is ready now, the next step is to add content to your site and publish it in the web. Weebly site editor has lots of options for creating and customizing your website. Add more pages to your site under Pages tab. You can add a standard page, blog, store, product page or an external link. Learn more about page layout selection. You can choose different layout for each page on your site. Weebly offers three types of Page Layouts when you create a new page. Choose the page layout by clicking on the page name under Pages tab. Weebly free plan has 500MB restriction, you can add as many as pages till you reach the limitation. Weebly Site elements are classified under categories Basic, Structure, Media, Ecommerce and More. All these are drag and drop elements, you can simply drag and drop into your website content area. Learn more about Weebly site elements. Settings tab offers you various options to optimize your site. 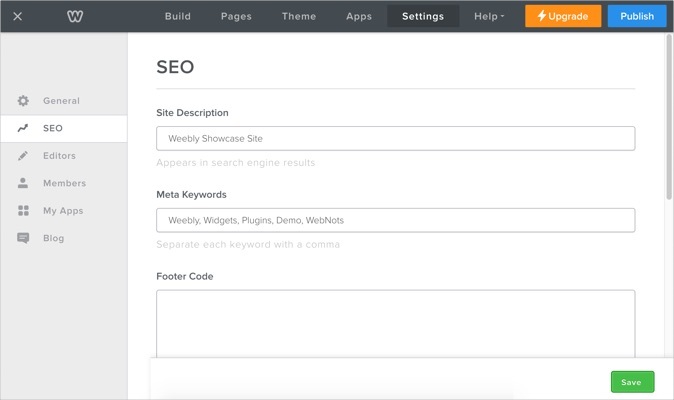 You can integrate Google Analytics and Google Webmaster Tools tracking codes in Search Engine Optimization tab under Settings. You can also archive and download your site as .zip file under Archive/Un-publish option. Learn more about Weebly site settings. Weebly also offers you to copy your existing site into new Weebly site. You can select Copy Site from dashboard and provide the necessary details to copy your existing site. Note you can’t copy a Weebly blog and store pages, you can only copy Weebly content site. 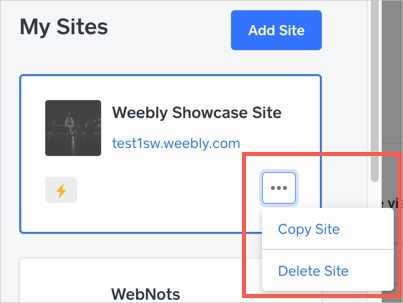 You can also delete the published Weebly site by selecting the Delete Site option. Learn more site administration options. Free Weebly Footer message (Learn how to remove footer from free Weebly Site). Favicon not available (Learn how to use Favicon to Weebly free site). Video and Audio options are not available. Site search box and header slideshow are not available. Many of the popular hosting companies like Bluehost and SiteGround offers Weebly site builder as part of their hosting service. You can purchase one of these paid hosting plans to run Weebly on cloud platform. This will be much cheaper than upgrading your account in weebly.com. Also you will get an added advantage of hosting WordPress and other sites along with your Weebly site.